One big store front in the heart of downtown Fergus, these two stores have combined to offer something for everyone. Appease your sweet tooth at I Love Chocolate and watch as our chocolatier crafts handmade Belgian Chocolate truffles, and creates specialty items with top quality chocolate and ingredients. Don’t forget the fudge! Then indulge in a fun shopping experience as you meander around the shared space of I Love that Gift, stocked full of fun and interesting gifts for any occasion and ideal for the hard-to-buy-for person on your list. From bath and body care, to home accents, beautiful wall art and special baby items too. Children love our store and our selection of the trendy toys, such as Webkinz. Buy the gift and get it wrapped up in one spot. 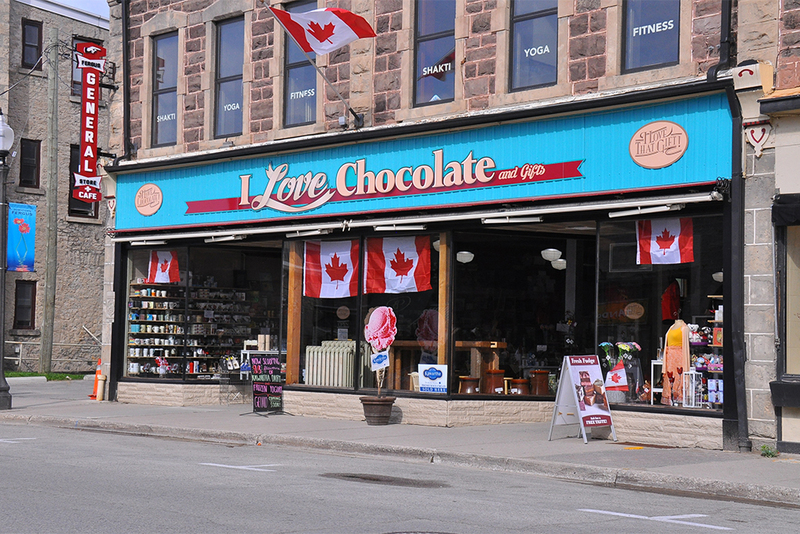 One visit and you’ll see why these shops aren’t stores so much as they are destinations that put Fergus on the map!